The history of B H Brown Landscape Design begins with the B and the H. Two good-natured realists who are in-tune with their passion and optimistic about all possibilities. With a Bachelor of Landscape Architecture degree from The College of Environmental Science and Forestry at Syracuse University, B pursued an apprenticeship with an architecture firm in Saugerties, New York. Meanwhile, H earned a bachelor’s degree from Syracuse University Whitman School of Management and pursued a corporate buying career in New York City. After honing their skills in their respective professions, B + H followed their intuitions and sought a harmonious balance of city life + green space to build their future. 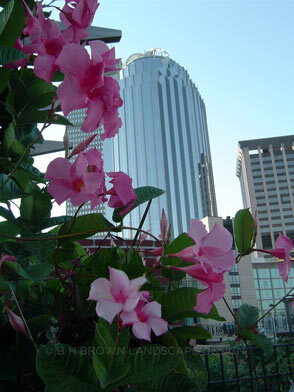 It took travels to Europe, Asia, and throughout the United States before B + H combined their talents + strengths to establish B H Brown Landscape Design, LLC in Boston, Massachusetts. 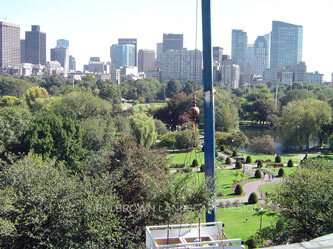 Since 2004, B H Brown Landscape Design has been providing the highest-quality + reliable workmanship in the City of Boston and the immediate surrounding areas. We are a full-service Landscape Design + Build company specializing in small urban landscapes for residential and commercial spaces. We take pride in providing personal landscape consultations + installations along with creative sustainable custom designs. There is owner oversight on every project + all nursery stock is hand-inspected and selected. With a private workshop located in Winchester, Massachusetts, we can better serve our clients with the flexibility to stockpile and coordinate material flow efficiently. Through referrals and long-standing relationships, we are grateful for our client’s trust + loyalty which contributes to our success + reputable integrity. With years of technical knowledge and a lot of hands-on experience, we invite you to review our portfolio photo gallery and check out the transformative effect we have had in urban landscaping. It is our mission to continue to create unique unparalleled landscape designs to compliment your metropolitan lifestyle + enhance your outdoor living space.